Backpacks are essential for carrying lots of equipment on a day hike or on a week long expedition. The external frame backpack is a classic hiking carryall. They are made with a rigid outside frame. Aluminum is the most common material for the frame because it is both strong and lightweight. Suspended to this frame is a multi-pocketed bag divided up into compartments. There are also places to strap additional gear on the top, bottom, and sides of the pack. The advantages of the external frame are that it allows you to carry heavy loads, and its multiple compartments help you organize the gear so it is easier to find. External frame packs help to carry most of the weight on the frame. 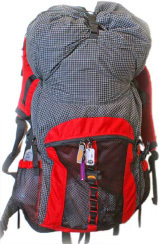 There is also good ventilation because the frame places the pack away from your back. External frame packs are less expensive than the internal frame packs. Also, these packs can hold more gear than internal frames. So I use mine when I’m packing both a lot of gear and a lot of weight. The external frame pack distributes the weight evenly but has a higher center of gravity than an internal frame pack. It is ideal for established trails, and tends to be cooler on my back. The hip belt is one of the pack’s most important features. Because it distributes most of the pack’s weight, this belt should be well formed, padded, and snug. It must be sturdy because much stress is placed upon this belt. The back of the pack has a cool mesh back band which allows for air circulation. 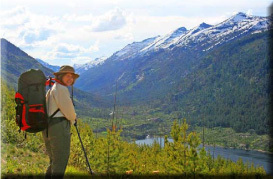 When purchasing an external frame pack, look for the following features: a welded, tubular frame made from aluminum; a coated nylon pack cloth that is water resistant; thick, wide, shoulder straps; mesh back bands made for circulation; a sturdy comfortably fitting hip belt with a fast release buckle; and finally, lots of outside pockets and multiple places to lash down additional gear. The internal frame backpack originated in the mountaineering world where difficult climbs may be too dangerous for external frame packs. The external frame could catch on a rock and upset the climber. Most of the gear rides inside the internal frame pack, although loops can hold ice axes, crampons can be lashed to them, and some models have pockets for back country skis. Internal frame packs have increased in popularity and have become more popular than the external frame packs. The ones that I use are the ultra-light ones. These can weigh only about a pound or two. With them I can carry loads of up to 30 pounds. Internal frame packs carry the pack weight low and closer to your back. 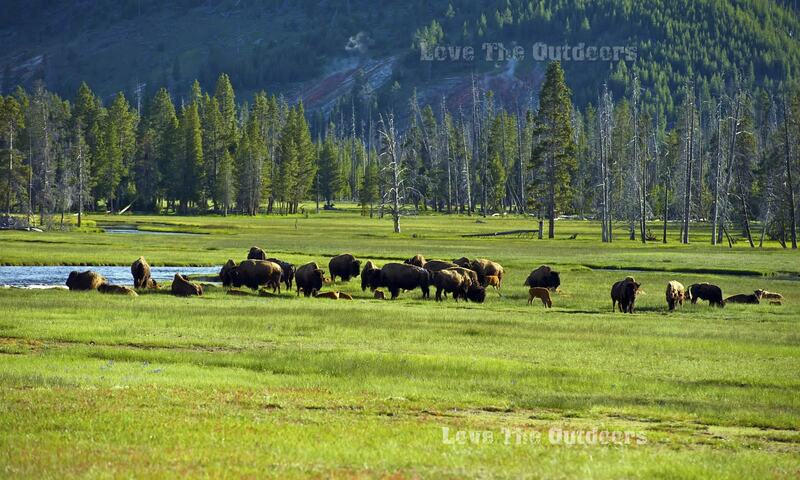 They are well suited for rough terrain because their distribution of weight helps you maintain your balance. Women prefer wearing internal frame packs because the low center of gravity is more natural and comfortable for them. A disadvantage is that they have fewer compartments and the bulk of the gear goes inside the large bag. This can make it difficult and frustrating to access a small item in the bottom of the pack. Again a fully adjustable hip belt distributes most of weight. It must be well padded and comfortable. Padded shoulder straps add to the comfort. All harnesses should be fully adjustable because the internal frame pack fits snuggly to your body’s contours. Adjust them so the pack’s weight is evenly distributed. The outside has a pocket for easily accessible items and water bottle holders. Things to look for in an internal frame pack are contouring to help evenly distribute the weight, and comfortable thick shoulder straps and hip belt. A lumbar pad that supports a heavy load and increases air circulation is most desirable. Also needed are compression straps to keep loose loads from shifting, a reinforced bottom to resist wear, and lots of lashing areas to tie on extra gear to the pack’s exterior. A slim profile helps to improve your balance. Cinch straps at the waist and shoulders keep the weight centered, loading low and close to your back.